Ever since I can remember the instinct to hunt and fish has been a driving factor in my life. 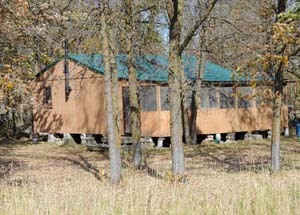 Vacations, family gatherings, the family cabin, and other hobbies have been centered around and active outdoor lifestyle. Waterfowl, deer, grouse and furbearers have all been part of the hunt. Many memorable family gatherings have happened at our cabin on the Roseau River. Fishing has also been a passion passed on by dad. 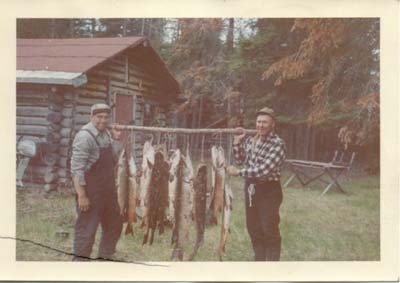 He fished from an early age and in the 50s started annual trips to an old fur trappers log cabin on Echo Lake in Manitoba's Whiteshell Provincial Park. In 1969 my brother Bob and I got to go along on a fly in adventure. I really wish I had some pictures but I do remember the trip vividly. In 2006 my brother and I returned. Also again in 2011, once with Erik and in Sept. on a solo canoe trip. The BWCA has also been an annual trip for some really good fishing trips.